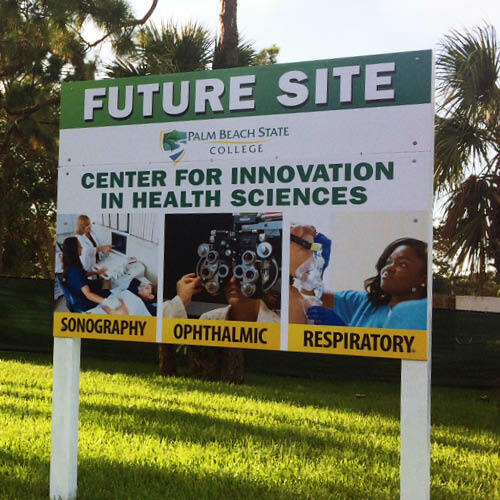 Palm Beach State College is developing plans to convert the former Center for Early Learning at the Palm Beach Gardens campus, which closed this month, into a Center for Innovation in Health Sciences. Current plans are to relocate three existing high-demand career programs to the facility: Ophthalmic Medical Technology, Sonography and Respiratory Care. College administrators said relocating the programs from the BioScience Technology Complex and the Lewis Center would create much-needed space in those buildings. The administration decided last fall to close the Center for Early Learning effective June 15, 2018. The center had been providing high-quality early care and education since January 2001. President Ava L. Parker, J.D., said closing the center was a “tough, yet necessary decision” and not a reflection of the quality of care and education it provided. The decision followed a review of financial data for several years and a $1 million cut in the 2017-2018 fiscal year budget. Parker said it was among several tough decisions the administration made to prioritize the funding of academic and student-focused programs. “During its more than 17 years, Palm Beach State College’s Center for Early Learning exemplified the very best in early care and education, providing PBSC families and the Palm Beach Gardens community with a nurturing, high-quality environment for their young children,’’ she said. The new plans for the facility were presented to the District Board of Trustees this week. However, the board will receive formal recommendations in the coming months.